When it comes to the plagues of the developing world, plant-derived vaccines offer a tangible advantage - starting with their route of entry. Pathogens often enter the body through orifices: especially the nose and mouth, and the immune system's first line defense is in the mucus lining these openings, and in the reproductive and digestive tracts. The mucus contains an entire immune pathway, which releases antibodies that sprint into passages and cavities, destroying unknown pathogens and keeping watch for known ones. Only then does the systemic immune response use circulating immune cells to destroy pathogens at distant locations. Injected vaccines are good at targeting circulating immune cells, but not the mucosal response. Edible vaccines, on the other hand, trigger both kinds of immunity. Antigens in plant-derived vaccines can survive the stomach and reach the immune system because the tough outer wall of plant cells protects cell contents from stomach acidity. When the wall breaks up in the intestines, the cells release their antigenic goods and initiate the mucosal immune response. The systemic response follows when the antigens reach the blood, offering a double punch and better protection against droves of microorganisms. We have come a long way from the green revolution, which fed the world starting in the 1970s. Terry Woodford-Thomas, an immunologist at the Donald Danforth Plant Science Center in St. Louis, speaking at the recent New Horizons in Science Briefing sponsored by the Council for the Advancement of Science Writing, described three waves of agricultural technology. 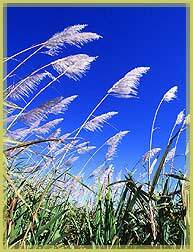 The first introduced traits that improved crop productivity. The idea was to create heartier plants that grow faster, or, as with the pesticide-producing Bt corn, with fewer resources. The second wave focused on improving quality traits to offer better foods (remember the Flavr Saver Tomato?) and fibers. The newest wave, still in its infancy, is called bio-pharming, and it's sweeping through academia and industry to produce medicines, hormones, and -- eventually -- vaccines within modified leaves and fruits, turning crops into protein-producing factories. The National Corn Growers Association estimates that at least 400 plant-based drugs are under development worldwide. Plant-derived vaccines could come just in time. Diarrheal diseases-like the Norwalk virus, cholera, and E. coli illnesses-cause up to 10 million deaths every year, mainly in developing nations. The infection disrupts small intestine cells, and water from blood and tissues leaches into the intestine, causing severe dehydration. In countries with good health care, the illnesses can be combated with intravenous liquids -- therapy that's seldom an option in the developing world. One reason for the enthusiasm for plant-derived vaccines is that mucosal immunity is crucial to preventing these illnesses, says William Langridge, a molecular biologist at Loma Linda University in California. "Rotavirus, E. coli, and cholera are major killers in developing countries, especially among children," he says. Because these diseases usually invade through the nose or mouth, the mucosal immune response is the principal - sometimes only -- line of defense. In the mid-1990's, Langridge inserted a toxin protein from the cholera virus into tomato and potato plants. When mice ate the potatoes, they developed resistance to cholera and showed a 50 percent reduction in diarrhea. The toxin proved effective at sparking the mucosal immunity. Could he use the toxin to deliver other antigens to the blood? "It turns out that the receptors for the cholera toxin subunit are located on a group of cells located directly over the Peyer's patches," he says. These groups of cells inside the gut deliver foreign antigens to immune cells. Langridge is now working on linking antigens from other diseases to the cholera toxin in plant tissue. The technique allows one delivery mechanism, from one plant, to make multiple vaccines. He hopes to someday offer such a vaccine for rotavirus, E. coli, and cholera all in one pill. "We were able to demonstrate that we do protect against all three illnesses in mice," he says, "and we're working to get to the clinical trial area." 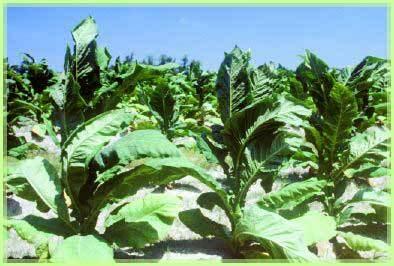 Easy to manipulate, the tobacco plant could redeem itself as a source of plant-derived vaccines. Environmental Health Perspectives. Funds for researching vaccines against these illnesses are scarce, since they are little problem in countries where such funds are available. World Health Organization- sponsored studies have demonstrated an effective vaccine for cholera, but it's not available due to cost. Australian scientists at Monash University have used tobacco plants to develop a vaccine for another punishing illness: measles. Before you ask, "What has this guy been smoking?" remember that tobacco is easy to genetically engineer. Trials in mice show the vaccine works, and testing has begun in primates. 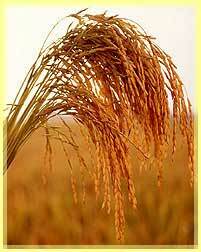 The Australian researchers are also working on a more palatable version, in rice. As they see it, the vaccine would eventually be given to children in a paste of rice flour. An early triumph of molecular biology was the hepatitis B vaccine, made in 1986. The virus is coated with surface proteins that latch onto human cells to travel through the body. Scientists took a gene coding for one such protein, transferred it to yeast, and grew the yeast in giant vats. A paste of rice flour could supply your child's vaccine needs. USDA. It was the first sub-unit vaccine, and the World Health Organization has been recommending it for nearly a decade. Still, the disease, which causes acute hepatitis and often cancer, kills more than a million people each year. At the Boyce Thompson Institute for Plant Research at Cornell, where Charles Arntzen began his work in edible vaccines, limited clinical trials with the hepatitis B vaccine, carried in potatoes and tomatoes, have produced the desired immune response in mice and humans. There were no major side effects, but the subjects had to eat a lot of raw potatoes. Cooking the potatoes would denature the antigens, leaving them ineffective, and each potato carried only a small amount of antigen. In the hepatitis B trial, the Food and Drug Administration only restricted participation to people who had already been immunized with injected hepatitis B vaccine, because of safety concerns. Arntzen's Arizona team has modified the vaccine tomatoes to produce vaccines against hepatitis B and the diarrheal illness Norwalk disease and is growing them in guarded greenhouses. The team recently got enough protein for 4,000 doses of vaccine from just 30 tomato plants. In theory, the vaccine can be dried and stored indefinitely. "It's easy to process the tomato into a dry powder, and the amount of vaccine we can produce in tomato is greater than in potato," says Cornell University's Dwayne Kirk, who is also an adjunct member the ASU group. It's a dirty job, but somebody has to wonder. Will edible vaccines pass the test?